This photo could be used in the upcoming Jones Soda labels. Amy one of Sidney’s moms drinks Jones Cream soda and she just happened to see on the box where we could submit a photo to be voted on to be on a label. 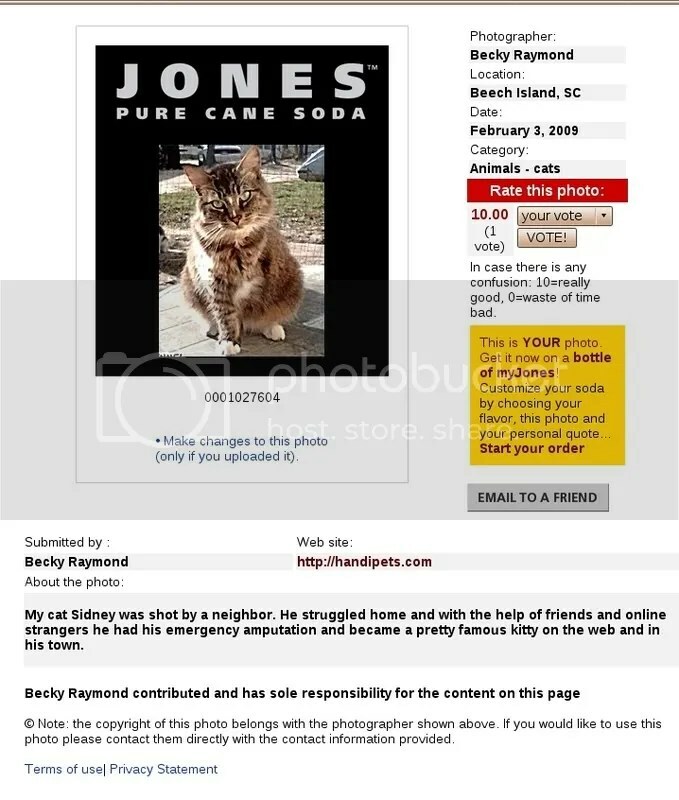 I think a kitty who was loved around the USA when he was shot and needed emergency amputation would be a great kitty to have on a label where those who helped him, could collect a bottle with his picture on it. Do you have a spare moment? Can you visit this website and vote for Sid’s picture? If so…come on then! Oh and…hey, can you pass this along to help Sid get some votes?